This is a commission slot. You can hire zoeragez to create a personalized artwork of this sort here. The artist will most likely respond to a request within the same day. This commission slot was rated positively by 57 clients thus far. Please give me the description, references, and drawing(if you have one) of your commissions. 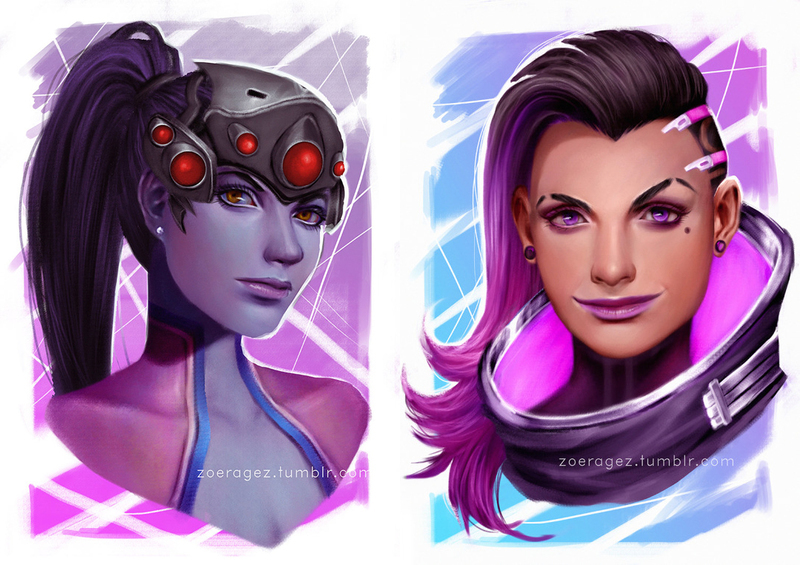 This artist is amazing! The base sketch was done within a few days, and the whole portrait within just a few weeks! The standard of art was amazing and I could not be happier with how she made my character come to life. As always, wonderful with capturing what I want. Promptly completed and good with making adjustments. A joy to hire. Absolutely amazing work, fantastic timing and attention to detail! Would recommend to anyone. Beautiful art and great to work with. Would definitely come back for a second piece of art in the future! Artist worked with speed and quality. Well worth the wait! Zoe did an excellent job once again! Phenomenal work. Communicative and intuitive. Altogether fantastic execution. Zoeragez absolutely nailed my OC. Highly recommended! Fantastic artist, cannot recommend highly enough. They had no issue changing things when asked and understood what I wanted clearly. Amazing artist! So happy with the end result! Beautiful attention to detail! Amazing commission work..! I highly recommend them and can't wait to see about getting another piece done! I'm usually very picky about who works on my ocs with dark skin and this artist knocked it out the park. ?? Zoeragez was amazing and the piece turned out EXACTLY as I imagined it would. I will definitely be commissioning them again! Helpful, precise, and great as always. I appreciate the hard work! Everything was spot on! Great work! Excellent communicator, quick worker, and lovely to work with. <3 <3 Thank you. Amazing artist, was really willing to work with me. Will definitely commission them again! Artist was very easy to work with! Final product was stunning. Highly recommend! zoeragez once again proved their skill with the second piece! They are super friendly, quick and kept me updated with the progress and processes all throughout. Super thrilled with the final result! Worth the wait! Great artist! Absolutely wonderful to work with! Completely open to making changes, and extremely friendly. Highly recommend! She was wonderful and marvelously skilled, patient too. 13/10 would comission again. This artist does excellent work and is accommodating to any concerns you may have. As other reviews go, the wait time will be longer than advertised, but well worth the wait. Great to work with, worked with me too when I sent too many different color references! Very understanding. Good artist. A bit slow, but the art makes up for it and the artist is pleasant to work with; would recommend unless you're in a strict hurry. Their style is amazing! It took a bit longer, but it was worth it! I would deffintly commission this artist again! She did an excellent job and was very communicative throughout each step of the commission. I would highly recommend her. Quick, easy to talk to, and great value for money considering the level or work you receive at the end. Very courteous to talk to and more than open to changes if you need them done. Would very much recommend Zoe. Took a little longer than expected, but so completely worth the wait. You can't beat the quality at this price level! Amazing to work with and a phenomenal artist! The artist definitely took their time, but what an amazing outcome! I was very pleased with the communication, as well. No matter how picky the artist was always willing to adjust the piece to fit my vision, and I love every bit of it! When you commission me, please give me the detail of your commission, reference etc. I will make rough sketch and send it to you. You can ask to change of the sketch, edit pose, facial expression, etc, until you feel satisfied. After the sketch done you have to do payment in order to finish the commission. It will take 2-4 weeks depend on complexity. When the commission is finished you can ask again for edit but only minor edit. I sometimes upload wip and finishide commission on web, but if you dont wish to I will not post it.